Link to audio recording from The ethics of press and public photography session at National Photography Symposium 4 on Friday 27 April 2012. This entry was posted in General posts on July 2, 2012 by admin. 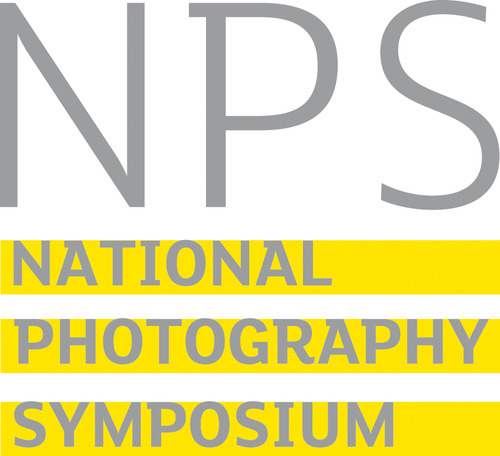 Link to audio recording from Copyright discussion at National Photography Symposium 4 on Friday 27 April 2012. This entry was posted in General posts on June 28, 2012 by admin. Link to audio recording from Archives session at National Photography Symposium 4 on Friday 27 April 2012. Speakers: Jem Southam, Pete James and Brigitte Lardinois. This entry was posted in General posts on June 26, 2012 by admin. In the work and the economy session at NPS4 we heard from Esther Teichman, Sara T’Rula and John Wright…. A heady mix of pondering on academic learning in photography, the pros and cons of self-motivated learning, and both of these relative to a commercial practice. Esther Teichmann is a practitioner in her own right, she also works commercially in fashion, she used to intern with Rankin; she now lectures and tutors at London College of Communication. Sara T’Rula has tracked an altogether less conventional route into photography. Having previously worked in Westminster with a background in politics and economics, she used experiences gained here in technology and online tools and approached The Photographers Gallery to offer them assistance with their well known project Street Photography Now. John Wright, by his own admission plays no part in any academic, ‘art’ or exhibition-based photography. John is on the advisory board of the Young Photographer Alliance – an organisation that states on it’s website to be ‘Inspiring, educating and empowering the next generation of photographers. Formerly a “third-world reportage photographer” John has worked through the famous people making funny faces stage and now works as a successful fashion photographer. I shan’t at this point pretend that I write from an entirely neutral standpoint. I have a BA and MA in photography and am currently starting my lecturing career in what could be the most academic of all photography topics: critical and contextual studies. I try every day to help students see their work in relation to many of the ways in which to practice photography and I (try to) help them to inform their work with knowledge. That knowledge comes through research and through consideration to the communication of their subject matter, via whichever conduit of photographic practice that they choose. In this sense, I like to consider myself open-minded, but I’m happy for that to be judged! Teichmann considered how her practice and lecturing might adapt to accommodate changes in the market. When there are structural shifts in the nature of teaching currently, how do we begin to support young emerging artists? The nature of academia itself, even aside from teaching, is of course not distinct from economic changes. Universities function as corporate institutions; they are businesses themselves, with a need to make money and to stay afloat in order to provide an education to their students. Teichmann believes that current graduates are shifting their expectations relative to those of previous generations of graduating artists. Unlike the Hirsts; Emins and Hunters of the world who get picked up straight from their graduate shows, she believes that there is more humble nature to this generation of emerging practitioners. There is a need/an ability/an understanding, call it what you will, of the requirement to multitask. There is less preciousness around particular working practices, wherein graduates will practice in two, or three, different ways at the same time. It is no secret that the dissemination of work has been radically altered by changes in technology over the last decade or two. Work can now be seen more quickly, in many different places instantly, it can be altered, appropriated, ambushed! With this though also comes a need and an ability to control where and how work is seen; self-management, self-teaching and self-publishing are now on the rise. As a practitioner, taking your work into the world has changed. This is another market shift that may change the way in which students need to be educated…so how can teaching change to meet these shifts? Through self-teaching, Sara T’Rula quietly tiptoed into a photography practice and career. A love of jazz and her own working practices aroused strong ideas around collaboration and she approached the Photographers Gallery to become their community manager, looking after the public and user interface for Street Photography Now. The Street Photography Now community continues independently from The Photographer’s Gallery since the project finished; it is a self-initiated community, which is having a lasting and tangible affect on photography in its oeuvre. The group of practitioners itself is changing to suit the situation that it finds itself in. Again here we are reminded that this current generation of practitioners can be seen to self-govern, evolve, adapt and diversify. T’Rula is enthusiastic about participation and collaboration and is working towards an online presence for a participatory project at Format 2013. How exactly does an artist/photographer disseminate and contextualise work now – how can we focus on this as both practitioners and facilitators? T’Rula is also working with Ed Clarke using multimedia to try to make his work complicit with changing standards in viewing and accessibility – making work with the audience in mind is not a new thing in the art world, but assuming infinite audiences just may be. He hit the ceiling doing celebrity shots, stating that one subject matter (celebs) limits creativity and so you can’t photograph in any way that you want. John now makes fashion images and is wise to advise that you always know your future aims. John Wright’s advice in this sense was sound, but I felt that he lacked an appreciation of the more wide nature of photography outside of his own practice. Photography is a vastly expanding oeuvre, it contains many ways of seeing and practicing, many messages and many styles; there are now many ways of being a photographer. Photography itself will continue to expand and contract, evolve and devolve, and as working practitioners in photography we will need to echo this shift in both the practice and concept of photography itself. It was with the Q&A session at the end of this discussion that the issues raised around finance, education and exploitation really came to a head. We discussed the nature of the internship, about which Teichmann believes that there is an ethical split. The photographic industry is dependant on unpaid work placements, but they don’t happen in other industries to the same degree. Ultimately, she believes that internships need to be evaluated by the individual. Those who offer internships are actually showing a spirit of generosity by taking you under their wing in terms of mentorship and support, which can be invaluable for learning. In a sense John Wright agrees when he says that an internship can provide a free education, but if you take nothing from it, leave. He believes that you must take opportunities when they arise as they won’t always come to you, you must be specific and find the opportunities that expose you to the skills that you need to learn. It was through the conversation around an academic education in photography that things became most argumentative. Are undergraduate course worthy of the £9000 fees? What do they offer? Is it a relevant education? Esther Teichmann thinks UK offers exceptional photography education; John Wright does not. She believes that the theoretical component of UK courses is strong, widely respected and supported. Most importantly, university can become a great place to create a network of academic experience – writers, curators, managers, etc and this nepotism is vital to forging your career. T’Rula regards art networks as imperative for the development of relationships and that in this sense, education and commercial are both valuable places to make contacts in the industry. In some countries in Europe, academic courses are run in a quantity that echoes the proportion of that business type in the economy. To go to university is socially progressive. It is not necessarily for training as a vocational photographer, but for providing an education about photography. Universities send out students who are ill equipped to be photographers. In the UK, academic courses can be run simply if there are enough students on them. Apparently there are more students studying photography in the UK than there are taxpaying photographers. We need to re-think academic courses to accommodate self-promotion and technical skills. More practical inclusion may be required. Where do galleries and photographic organizations stand through times of academic change? Funded establishments will always be key to learning about photography. University teaches student how to think and supports their skills. Thinking is a crucial part of learning how to operate as a person. In a time of diversification, when you need to broaden your skills to narrow them in the future, how wide do you stay and for how long? This entry was posted in General posts on June 12, 2012 by admin.